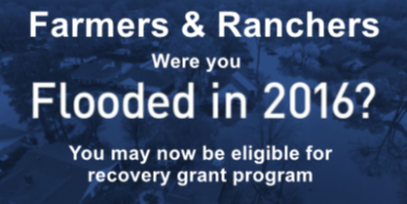 Farmers and ranchers in Washington Parish and adjacent parishes, who suffered losses as a result of flooding in March and August of 2016, are now eligible to apply for recovery grant money. The Louisiana Department of Agriculture of Forestry will administer the program. 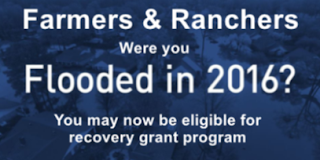 The funding is part of the $1.6 billion congressional appropriation for Restore Louisiana.